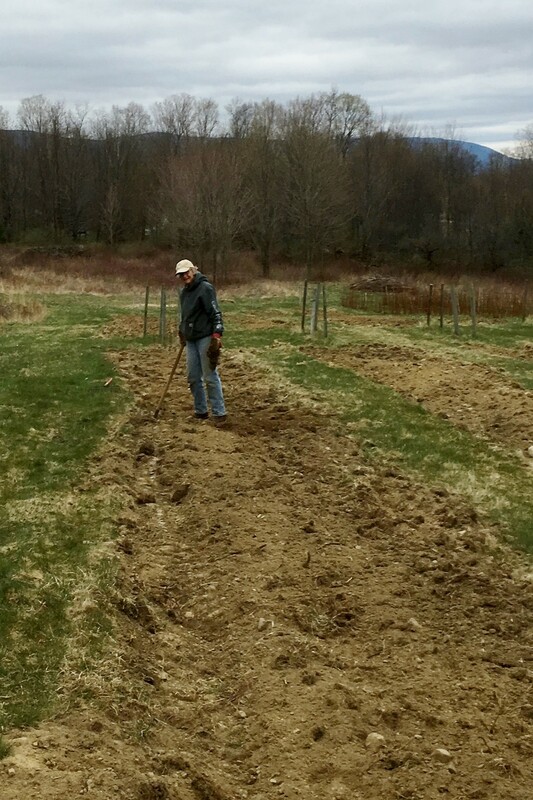 We finished raking 1000 feet of rows where 500 new Nova raspberry plants will go in once we get some rain and the soil warms up. 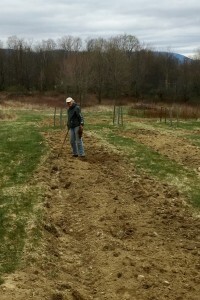 Apple trees are now at 1/2 inch green and slowly moving towards bloom. Buds at this point can still tolerate 23 degrees for 10% damage, so we are OK so far. We need to estimate when bloom will occur to schedule shipment for the bumble bees. Temperature this morning was 6 degrees and there was three inches of new snow. Fortunately the apple trees are at “Silver Tip” – the buds are just beginning to crack open. At this bud stage there will be some cold damage, but most of the buds will survive. 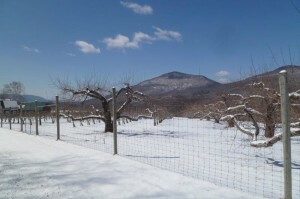 Cherries are still a question mark both from last night and from the -23 degrees on Feb 14′th. We will just have to wait and see. Most of our pruning is done – we need to do some grafting and get ready to plant 20 new cherry trees plus 500 new Nova raspberries. 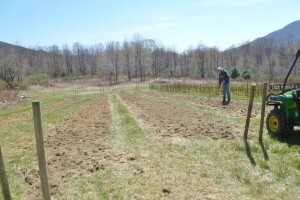 Each new growing season is it’s own challenge.